Home Video Games Overwatch New in gaming: What is Overwatch? Blizzard will release Overwatch on May 24, 2016. Overwatch is Blizzard’s first first-person shooter game. With a limited in-game story-line, Overwatch is a character-based shooter that focuses on PVP gameplay. Teams battle to protect objectives and move payloads. Learning the unique skills of each of the 21 hero characters and how they match up against one another adds depth to the game. What makes Overwatch gameplay more unique, is the ability to switch heros or classes upon death. Once the proper hero matchups are understood, you can attempt to counter whatever the opposing team’s strengths. Want to know more about the individual Overwatch characters and their stories? During the two weeks between beta and the full game release, Blizzard has been sharing YouTube shorts with each of the character’s stories. Watch them here. I played through the beta and tried to test out all the characters. Each character handles a bit differently, so the game will fit a range of game play styles. Whether you like to stay back from the main brawl and play a sniper, protect the group, heal everyone up, or just inflict lots of damage, there will be a character for you. The game feels a lot like a first-person battle arena. The camera-views and combat make this game play like a traditional first-person shooter. The strategic skirmishes between two teams fighting to hold an objective adds elements of a battle-arena style game. When Overwatch goes live, you can expect to see lots of live gameplay on twitch.tv/Hermit_theCrab. Until then, you can see videos of my Overwatch Beta gameplay on Twitch. And of course, I will be streaming other games in the meantime, so stop by the twitch chat and see what’s going on in the world of gaming. Follow me on Twitch and Twitter to make sure you know when I go live with Overwatch. Want to play too? 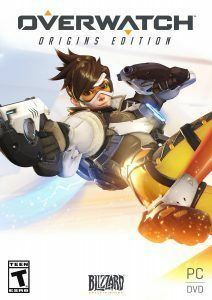 You can get your copy of Overwatch on Amazon with Hermit’s Affiliate link.